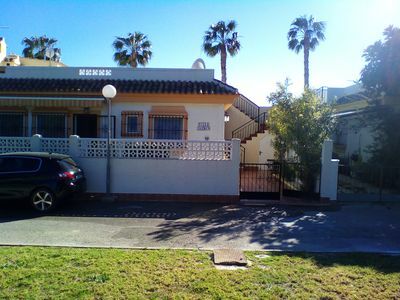 Villa, 2 Bedroom, 2 Bathroom,(showers only), free WI-FI, communal pool. 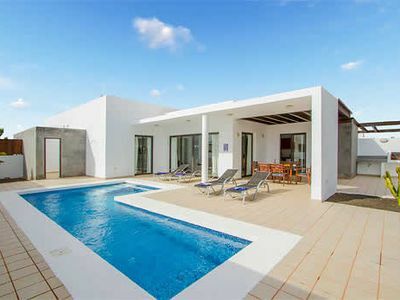 Situated in the Spanish town of Los Alcazares in the region of Murcia on the beautiful Mar Menor (small sea), Villa Jazmin offers a peaceful retreat from everyday stresses and strains. 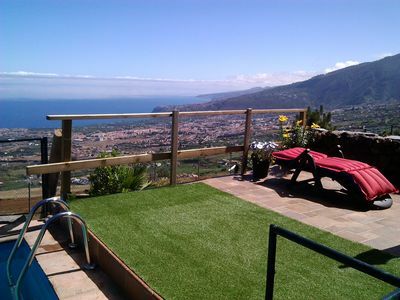 The villa is just a 5 minute taxi ride from San Javier airport, which caters for just a few flights a day. The beach and the the town centre are both an easy flat 10 minute walk away. 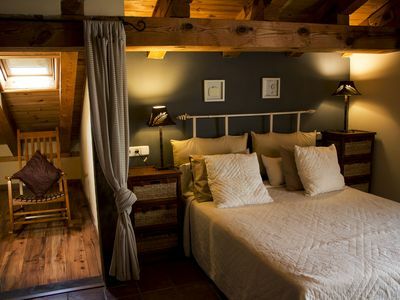 The area is very flat and ideal for walking and cycling, 2 bikes are provided at the villa for your use and additional ones can be rented nearby. Unless you want to venture further afield, there is no need to hire a car although there is a bus service to the historic cities of Murcia and Cartagena. Ample easy parking outside. Villa Jazmin is a spacious, airy, 2 bedroom, 2 bathroom villa sleeping 4, in a quiet cul de sac opposite an area of parkland. It has air conditioning, English satellite TV, free WI-FI and a CD player. There are 3 terraces including a large roof terrace with cold water shower for cooling down, so both sun and shade can be found at any time of day. There is an attractive communal pool 30mtrs away. The villa is a non-smoking environment. There are many diverse sports on offer including sailing, windsurfing, kite surfing, snorkeling, tennis, boules, shopping and others. Also there are at least 5 golf courses within a 30 minute drive. There are local outdoor markets in the town on a Tuesday and Saturday, both are an easy walk away. There are many banks in the town just a short walk away. The superb 7 km sea front is traffic free and cycling is encouraged. There are dozens of bars and restaurants along the route of differing styles. The sandy beach of equal length offers a safe environment beside the calm, clean and warm waters of the Mar Menor. A wide variety of restaurants, bars and shops can be found in the impressive modern plaza and surrounding areas and if you like something a little more traditional, the old town has it. If you are eating in tonight there are a variety of Spanish shops and supermarkets and also some English style ones if you prefer. A Barbecue is provided at the villa, but you may have to provide your own charcoal (and burgers)! Cot available, advance notice required.If you require any further information please do not hesitate to contact me on 07768 743026. 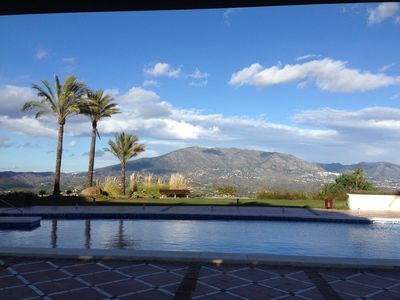 Club Villamar - Beautiful villa with a lovely swimming pool in a quiet area.